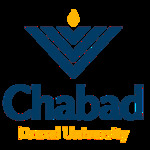 This year celebrate Chanukah, the Festival of Lights with Chabad! 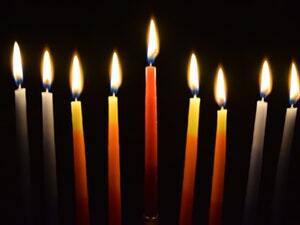 Click here to receive your FREE Chanukah kit. 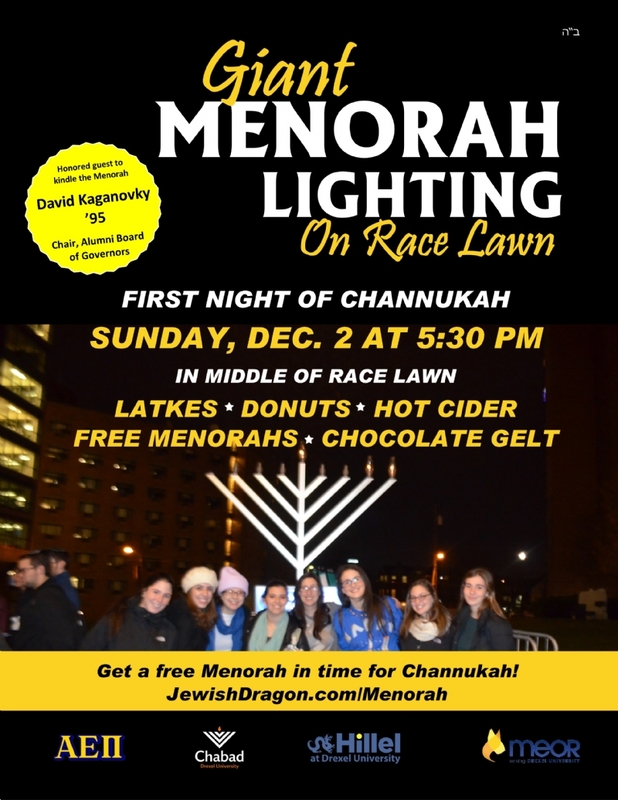 Kit includes: Menorah, candles, Dreidel and Gelt! 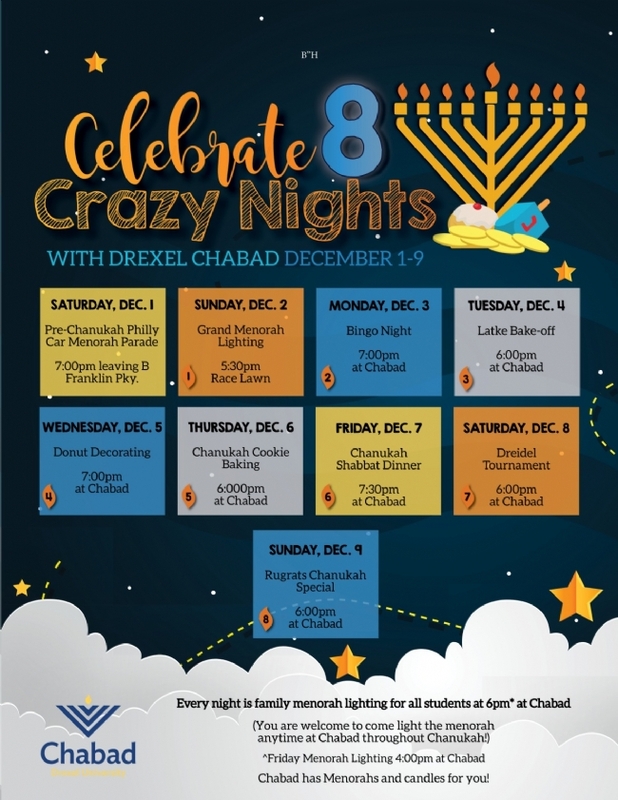 Join us the 4th night of Chanukah, November 30th, for the annual parade and menorah lighting featuring Eli Marcus and Chony Milecki. 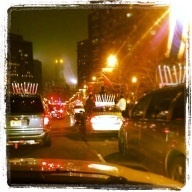 With donuts, jugglers and family fun for all.